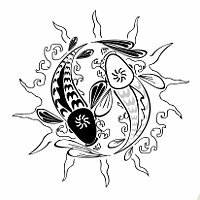 Jantsje requested this tattoo where the zodiac sign of pisces is joined with the Yin and Yang symbol, representing harmony and balance. Everything is enclosed inside a sun (eternity). 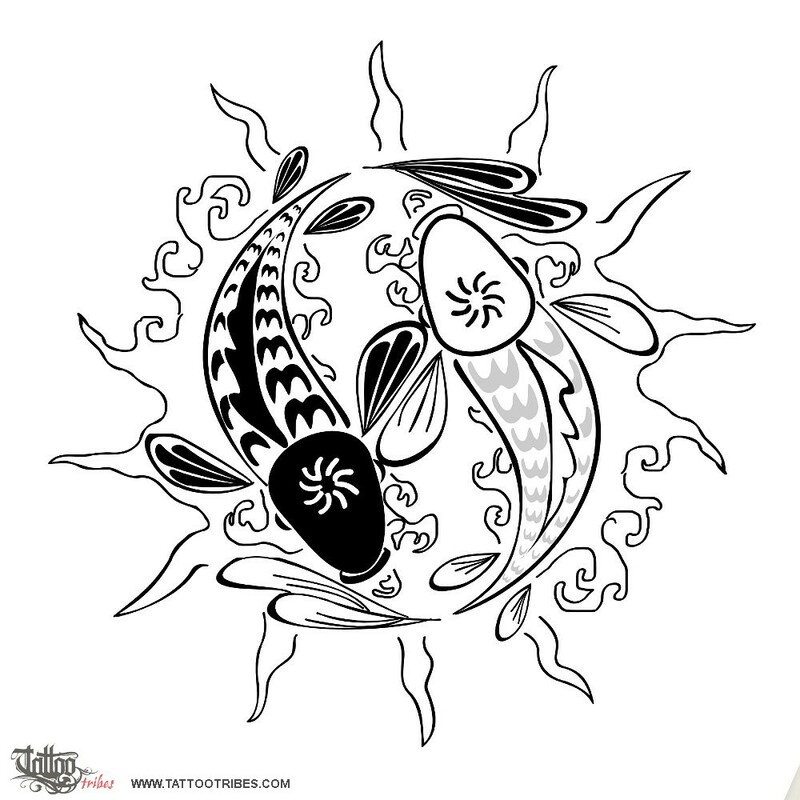 The waves where the fish are swimming turn into the sun rays so that the fusion between water and sun will remind him of the time he spent in Aruba.